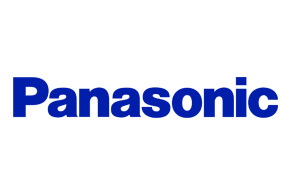 SureView is proud to partner with Panasonic, a leading technology partner and integrator around the world. Since 1918, the company has been providing customers with innovative electronic technology with a wide variety of products to serve customized market segments. The company prides themselves on always making people the central of product and development. SureView’s Immix Command Center (CC) and Central Station (CS) platform is integrated with Panasonic video systems. The platform partnership provides a bundle of the latest cloud based features as well as, a control configuration. The configuration is integrated with several devices: HD300 Digital Disk Recorder, NWDR Networj Disk Recorder, Encoder Network Interface Unit and more. In addition, the Immix platform allows for more capabilities for live image freezes to increase response performance. For more detailed information about Immix CC and Immix CS integration with Panasonic access control system please visit our Panasonic Support Page. To learn more about partnering with SureView Systems and integrating with the Immix CC: PSIM for the Enterprise and Immix CS: Video Automation for Central Stations platforms, please visit our Become a Partner page.